Infor announced a partnership with ESDS, India’s leading Managed Data Center and Cloud Hosting Service provider. The collaboration will combine Infor’s industry-specific cloud solutions with ESDS’ extensive experience in providing auto-scalable, multidimensional cloud solutions for highly-reliable and scalable IT infrastructure for businesses. Infor and ESDS will provide a robust and modern IT infrastructure that delivers state-of-the-art user experience along with an integrated platform for seamless collaboration across existing systems and deep data analytics capabilities to drive informed business decisions. Additionally, customers can accelerate deployments and have increased access to experienced consultants who can assist organisations in optimising their use of Infor products. “With cross-industry services, Infor is delighted to be ESDS’s solution partner across Infor’s key markets – India and the Middle East. 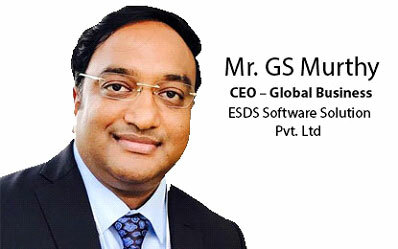 We look forward to assisting organisations that span the different verticals as they continue to adopt emerging technologies and embrace digital transformation, ESDS’ expertise in managed data center services, coupled with Infor’s industry-specific cloud solutions, will promote faster and more effective responses to market opportunities, serving as a catalyst for growth for both organisations. Strategic partnerships are key to our business, and we look forward to our collaboration with ESDS”, said Darryl Cox, Director of Strategic Alliances for IMEA, Infor.